Volkswagen Golf GTE Performance, Engine, Ride, Handling | What Car? 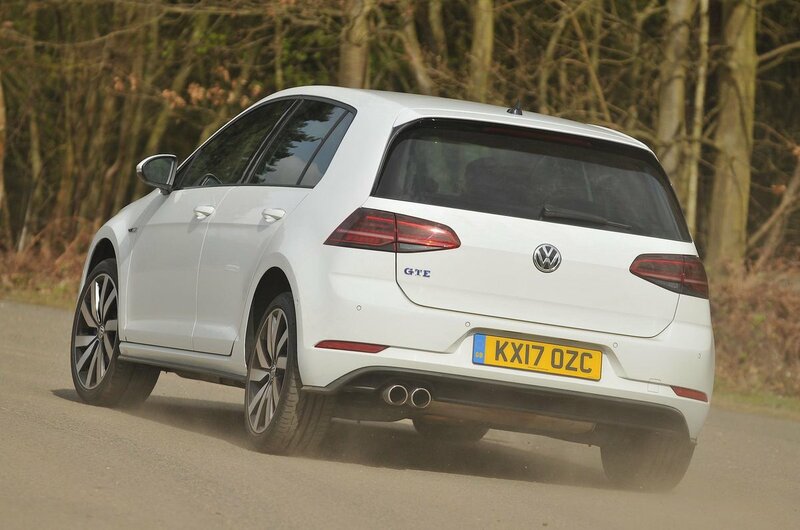 You can run the Golf GTE in one of four modes: pure electric, hybrid, GTE and ‘battery charge’. In pure electric mode it behaves much like the fully electric e-Golf, so the petrol engine stays switched off and there's a seamless, near silent stream of power the instant you push the accelerator pedal. Performance is more than adequate for zipping around town. With a fully topped up battery (which takes 3-4 hours from a domestic three-pin socket) expect to get about 20 miles down the road before the batteries run out of juice. In cold weather, you won’t even get that far. Most of the time it's easier to run in hybrid mode, with the 1.4-litre petrol engine being assisted by an electric motor to improve performance and help deliver good fuel economy. As in all the best plug-in hybrids, there’s a seamless transition between petrol and electric power, so you can barely detect which is doing the bulk of the work. Despite the extra weight of the batteries, the GTE can be almost as quick as a Golf GTI. In GTE mode, 0-62mph takes just 7.6 seconds and acceleration feels particularly urgent below 30mph thanks to the hit of the electric motor. Alternatively, switch to ‘battery charge’ mode and the petrol engine starts to act like a generator, charging up the battery to give you the option of running in pure electric mode without plugging the car in. 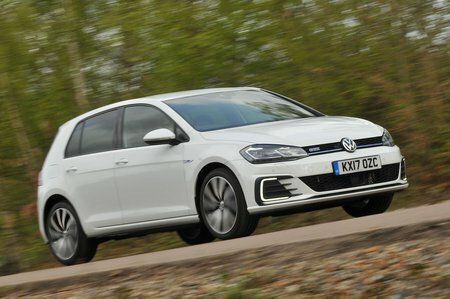 The handling is always confidence-inspiring and assured; in many ways the GTE feels much like a petrol or a diesel Golf to drive, despite the fact it weighs a bit more. There is the occasional jolt that makes it into the cabin when you go over harsh bumps, but otherwise the suspension absorbs all manner of lumps and ripples with ease. Just don’t expect the GTE to drive like a Golf GTI. It might be entertainingly rapid in a straight line, but it doesn't have the same sharpness of steering or rewarding handling to really put a smile on your face.